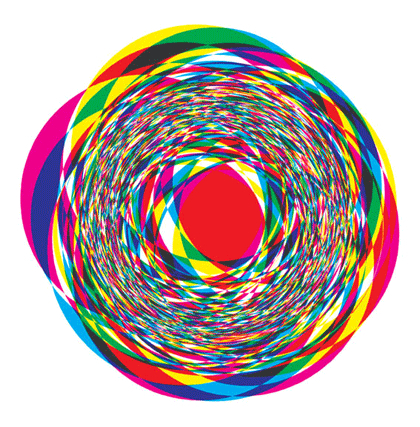 Insightful: The Laws of Simplicity by John Maeda - Riot, Riot! I spent the last couple of days (6! to be exact) reading a book that is advertised on its cover for taking no longer than a lunch break to read. How, you may wonder. Well, I can only say that I loved it a lot and spent time going back and forth to make sure I really get it. Miguel gifted me John Maeda’s Laws of Simplicity about a week ago after he had sent me the pdf and I refused to read it becase “I am a book person!”. Here I am now with the real book and hey – it was stupid to not read it earlier. 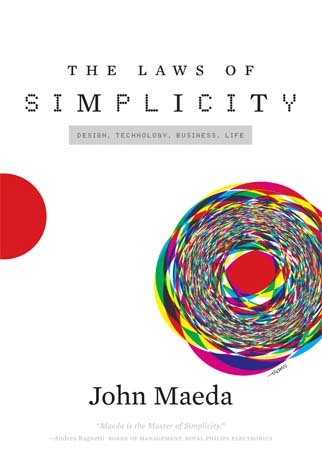 In his 100 page book John Maeda explores the ten laws of simplicity and while I did have a hard time to remember the acronyms he introduces to support his theories they do make a whole lot of sense. 2. Organise. Organization makes a system of many appear fewer. 3. Time. Savings in time feel like simplicity. 5. Differences. Simplicity and complexity need each other. 6. Context. What lies in the periphery of simplicity is definitely not peripheral. 7. Emotion. More emotions are better than less. 8. Trust. In simplicity we trust. 9. Failure. Some things can never be made simple. 10. The One. Simplicity is about subtracting the obvious, and adding the meaningful. Why I think you should give this book a go? Well, fist of all – it’s very short, so there really isn’t an excuse of why not to read it! Secondly, it will make your life better. Just think SHE (Shrink, Hide, Embody): when applying this principle to let’s say your job you might end up with (in my case) a perfectly designed windbreaker, that not only is beautiful and easy to wear, but full of integrated functionality and with a clear brand DNA. It’s a piece you (the consumer) will love. If you shrink to much, it might end up being Crop Top length, which – considering the first sneak peaks we’ve seen, then resembles Alexander Wang for H&M. Also ok. So, in the end it would have been simpler, had I just gone and read the pdf already. Then again, maybe the perceived complexity of reading a digital format would outweigh the benefit of learning about simplicity, since it doesn’t get much simpler than reading a book. Enjoy this one. It’s worth your time.